Charles was educated Harrow (captain of school) and Trinity College Cambridge, ordained 1823. A scholar with a touch of genius, the classics, music, science, mathematics, history, all gripped him. Charles Martin Torlesse was sent to a well-known preparatory school at Chiswick, kept by a Dr Horn. Here he underwent great suffering, both from the severity of the master and the bullying of the boys. I have often heard him say that the Latin and Greek grammars were flogged into him, adding, "it was a stupid plan, I was a timid boy and could not bear to be flogged, so to avoid flogging I did my best to learn." the arrangements for the boys seem, from present day lights, almost incredible. The only chance of a wash before breakfast was a round to the pump in the yard; at 11 o'clock three tubs of water were brought into the schoolroom, in one boys washed their faces, in another their hands, in the third their feet. The water was not changed for the whole school! While my father was there, two boys ran away and hid themselves in the woods. They were soon caught and brought back and were found to have been reading "the history of Valentine and Orson." They were punished by flogging in the way practised at Chiswick School; each boy was hoisted on to the back of another boy, and the Dr first gave one a few strokes with "Well, Master Valentine, how do you like the woods?" Then leaving him he went to the other, "and master Orson, how do you get on?" Then back to the wretched Valentine, and so on, gloating over their misery. . . . . . But those who could bear that rough treatment learnt well, and at 14, father went to Harrow well prepared. There he was for four years under Dr Butler, not leaving until he was captain of the school. Ref: Jackson's Oxford Journal 13 October 1832. He was a long serving Vicar of Stoke By Nayland, and is buried with his wife their grave is marked with a raked cross. The following presentations have been received since our last report. . . . .
the Rev C. M. Torlesse Stoke, a thighbone of dinornis ingens, from New Zealand. Ref: extracted from the Ipswich Journal 4th May 1850. Charles Was a Member of the Canterbury Association and on July 23, 1851 wrote to the Editor of the Ipswich Journal defending the choice of location to build the new city of Christchurch New Zealand. Ref: Ipswich Journal 26 July 1851. Testimonial to the Rev C. M. Torlesse M. A. Vicar of Stoke by Nayland. 50 years of spiritual Labour in one parish is a fact the significance of which it is not easy fully to realise. It falls to the lot of few men to labour for so long a time in one particular district in matters connected with the highest interests of mankind. How varied must be the experience of such a man! For even in a quiet regular going country parish there would, in such a lengthened period of time, be many and great changes, with all of which, with, perhaps, hardly an exception, he, as the spiritual leader of the parish, would in some way or other have to do. How many in that time would have departed from this life? Of how much misery and suffering would he, as a faithful minister, have been the eyewitness? Or, to turn to the brighter side of the picture, how many happy and joyous meetings of the parishioners? How many happy couples would have been united in the bands of holy matrimony, according to the solemn most beautiful service of our beloved church? Much might be said and written as to what would be the experience of such a man. But let us turn from an imaginary case, to speak, or rather to let others speak, of a clergyman who has given one parish in Suffolk the benefit of 50 years of conscientious, arduous labour. The fortunate parish is Stoke by Nayland, and the gentleman is the Rev C. M. Torlesse. For 50 years has he been a preacher of the Gospel, but this has been only one part of his duty faithfully and zealously performed. He has been a most industrious and persistent visitor of the sick; he has identified himself with the spiritual and temporal concerns of his parishioners; and he has given them the best of advice when council and assistance were most needed. Happy the man who can look back upon 50 years of such work! Stoke by Nayland is of itself a large parish, and joined as it is to another extensive parish, Nayland, there is consequently a considerable neighbourhood for a country district, and, as may be imagined, there are meetings of Choral Societies, Benefit Clubs of various kinds, gatherings of agriculturalists and with each and all of these, and many more that might be named, the reverent gentleman has been a principal actor. In fact everything calculated to enhance the moral and social welfare of his parishioners has had his best support. He has on all occasions had the ready assistance of the laymen resident in the locality, who have learned to esteem and love him for his works sake. Notably has this been the case with the noble and generous owner of the fine Park, which is an ornament to, and the pride of the whole neighbourhood. A hint is enough for Sir Charles Rowley if there is anything he can do to add to the prosperity and comfort of his neighbours; and it must have been a great comfort to the reverent C. M. Torlesse to know that in the performance of the high and important duties imposed upon him by virtue of his sacred office, that he has never had to calculate in vain upon the aid and sympathy of gentleman in this position. Almost a whole generation must have sprung up since he began to work for the good of the parish, and, therefore, his name is inseparably connected in the minds of the vast majority with the magnificent building in which he has spoken so often about the simple plan of Salvation, and where, too, he has delivered words of reproof, which have been accepted in the spirit in which they were uttered, and, as coming from one who has their highest good so closely at heart. Until recently he had one who shared with him and his troubles, his anxieties, and who was in fact to him all that a loving and affectionate wife could be, and one who was beloved by the whole parish for her labours of love in visiting the sick and in numerous other ways. A short time since, however, it pleased an all wise Providence to remove her from this world. The stroke was, of course, a heavy one, but he who had had so often to express his sympathy with his bereaved parishioners, now in turn had the sympathy of the whole parish extended to him; and upheld by that Hand of which he has so often spoken as being extended for the deliverance and guidance of lost humanity, he survived the blow and continued his work. But having completed the 50 a year of his ministry, the residents of the parish and some of his friends, determined to take advantage of the opportunity, and not to let so significant a fact pass by without presenting him with a substantial proof of their esteam and regard. Accordingly the proposal to present the reverent gentleman with a testimonial stirred the whole parish, and soon upwards of L260 was collected. An address was prepared. We give it below, and our readers will see that though the words are few, much is expressed, and we cannot not congratulate the reverent gentleman on this heartfelt expression of esteem. The address has been beautifully written on vellum by Mr J. W. Heard, of Hadleigh, in a form appropriate to its wording and he has carried out most successfully a good idea. It will be seen that the address combines a feeling reference to the death of Mrs Torlesse, and the address is written in a tablet form to her memory, as well as a commemoration of the Vicar's long ministry. All colour has been purposely avoid, and Mr Heard is deserving of the utmost credit for the admirable manner in which he has performed the difficult task allotted to him. We would have given the address in the tablet form in which it is written, but unfortunately the lines could not be made to fit into the the width of the column, even with the use of small type. To the Reverent C. M. Torlesse M. A. Vicar of Stoke by Nayland, Suffolk. We your Parishioners and Friends, are desirous of commemorating the completion of the 50th year of your ministry in this parish, by presenting you with a substantial proof of our esteem and regard; at the same time we desire to take this opportunity of expressing, with all respect, our appreciation of the manner in which you have discharged the duties of your office; that you have lived for so long a period in the affectionate regard and esteam of your parishioners is of itself no slight proof of this, but it is our pleasing duty to record our testimony to your faithfulness as a Preacher of the Word; your loyalty to the doctrines and formularies of the Church of England; your diligence as a visitor of the sick; your kindness and liberality to the aged and necessitous poor; and your care and interest in the moral and religious training of the young. And here we cannot forbear recalling the ready and earnest help of her so recently taken from you, of whom it may be truly said "She rests from her labours, and her works do follow her". It has pleased God in his Providence to remove her from us, and she cannot now share in this commemoration; but we feel it will not be the less grateful to you to know that her memory is reverently cherished, and her "work and labour of love" held by us in high esteem. Neither are we unmindful of the other members of your family, who have, one and all, interested themselves so much in the welfare of the parish. With these expressions of heartfelt respect and esteem, we beg your acceptance of the accompanying Testimonial. That the blessing of Almighty God may continue to rest upon yourself and your family, is the earnest prayer of your parishioners and friends. The Vicar rose to respond and after a few preliminary observations said, the testimonial that has been presented to me has taken me wholly by surprise; I had not the slightest idea of anything of the sort. It calls for remarks of two kinds: one kind relating to the matter of fact that I am in my 79th year, and I came into residence here in the year 1823, and that since that time I have mainly had the spiritual management of this parish. I have been alone till within the last few years, when I have had the assistance of Curates. It is a matter of fact, then, that I have been enabled to go through the duties of this parish during that number of years, that I have had strength to enable me to go through it is a fact; and I thought it might interest you to know that I have filled this Incumbency for a longer period than any Vicar during the last 573 years. I have in my possession a list of all the Vicars from the year 1301 up till the present time the number is 40; and if you divide 573 x 40 that would give an average of only about 14 and few of them resided for any length of time. The longest was 41 years; but the greater proportion were here not nearly so long. I may also speak of some of my labours: nearly 200 children have been baptised; 1300 persons have been buried; and 400 marriages have taken place. Now, I do not take any credit at all to myself for these facts. In the first place, with regard to the duration of my life, I can take no credit to myself; it is by the Grace of God that I have continued unto this day. Then one or two remarkable circumstances have taken place during my Incumbency. Our church has never been for a single Sunday closed during the last 50 years notwithstanding all the cleaning and repairs and extensive restorations that have taken place, the usual service has only been once interrupted. During my absence there was once a very severe thunderstorm, in the course of which the lightning struck the church, which cause such confusion that it was deemed necessary to break up the congregation. But here again I claim no credit for myself, because I attribute it to the excellent arrangements out churchwardens have made. (Applause). During my Incumbency, also an excellent school has been built, and the church has been completely restored, and strengthened, and beautified. (Hear Hear) the schools were built by the late admirable Sir Joshua Rowley; and I need not say by whom the church has been restored (Applause). Now these things are plain undeniable facts and, as I have said before, I can claim no credit for any of them. Now we come to that which I said was a matter of opinion. From the appearance of those who are gathered here this evening, from that purse which lies on the table, from that testimonial which has been read to you, and by this plate which I can hardly hold up, I conclude that your verdict is favourable (Applause). Far more favourable, I can say, without any affectation of humility, than I suppose it ever could be. Now, some things have been done very well in this parish. The schools have had an excellent conductor ever since I have been here. I think we had very good schools, both Sunday and weekday, before any other parish in the neighbourhood, and they have always been most skilfully and successfully managed. Here again what should I have done without her whom it has pleased God in his providence lately to take away from us? I must attribute a great deal of success with which the different charities of the parish have been carried on to her activity and energy. (Applause). Even to the very last, when great bodily infirmity and her disease prevented her from going out, her pen was never idle, her pen was always exercised in writing to those young persons whom she had got out to service, or with the promotion of some object connected with this parish. Within a fortnight of her death her pen was thus exercised. But now, as to what I have done myself. You speak favourably of it, but I must say that when I remember how much I have done that ought not to have been done, and what has not been done or done only imperfectly, I feel more and more astonished at the kind and liberal way in which you have spoken of my services. All I can lay claim to is good desires and intentions imperfectly carried out; the road which I have trod during the last 50 years is strewed with the wreck of good intentions (Hear Hear) and plans which perhaps have been imperfectly executed. How can I express to you my thanks for what you have done? I can say I was altogether unaware of this recognition of my services. Certainly my churchwardens came to me some time ago and said they should like to make some little acknowledgment, but my astonishment is as great as my gratification as to the extent of the donation and the number of the donors. I had not the slightest idea that I had so many kind friends, for most purposes words may be found, but I must confess that words are wanting me to say how gratified I am, and how thankful I ought to be. My dear friends, it is not likely that some of us, at all events, now present, will live to see many more years. We shall have to leave these our places, and make room for others, my desire and prayer is that every temporal blessing maybe yours, and that you may enjoy health and strength, and the opportunity of doing good; but I think, as a clergyman of this parish, I ought to desire something more than your temporal good. I ought to desire and I do most sincerely desire, something better for you than mere money or any earthly possession, which you cannot carry away with you; and the prayer and the desire I should wish to be carried out on behalf on both myself and you is, that this pleasant connection formed here below may not be broken for ever when we leave this world, but that we may again meet in that world above, where there are no partings and no changes. (Applause). I know how imperfectly I have addressed you this evening, I can only pray God that when you and I get near the grave, we shall be more fitted for it, and that our last days may be our best days, and that the last hours of our life the most happy and comfortable (Applause). Ref: Extracted from the Essex Standard 2 Jan 1874 & Ipswich Journal 3 Jan 1874. Then follows a long list of the subscribers, an inscribed silver salver, was presented with the Testimonial, bearing a satin purse containing L244. Torlesse. 12th inst., the Rev Charles Martin Torlesse, vicar of Stoke by Nayland, Suffolk, aged 86. Ref: Ipswich Journal 16 July 1881. Death of the Rev C. M. Torlesse. It is with deep regret that we have to record the death of the Rev C. M. Torlesse, vicar of this parish, which took place on Tuesday morning the 12th inst. The Rev. gentleman had reached the ripe old age of 86 years. Few men attain so great an age as that, and it may also be said that very few clergyman indeed have the spiritual charge of the same parish for the lengthened period of 58 years. The deceased gentleman was curate of Stoke by Nayland 9 years and Vicar 49. Resident as he was all these years in one parish he was well-known in the neighbourhood, and indeed throughout the county, and he was as generally esteemed, and respected as he was widely known for his sEssex standard terling qualities as a devoted parish priest. He was a refined scholar, a kind and genial host to all who came within the reach of his hospitality, and it may truly be said of him " He will long live in the hearts and memories of all who knew him". Funeral of the Late Rector. The funeral of the reverent C. M. Torlesse took place on Saturday afternoon in the presence of a large congregation. The deceased was best known and most beloved by those who knew him most intimately. In this village, where he had spent the greater part of his life, and where he had laboured nearly half a century, his loss is felt is felt most keenly. He was truly a good man, kind and liberal to the poor, generous to his friends, and well disposed towards all. For some years past the venerable vicar has not disguised from himself or his friends the fact that the time of his departure was at hand, and he has been patiently waiting till the change has come. There were a large concourse of persons, the children of the schools and their teachers, the tradesmen, and farmers of the parish, and the members of the choir, with the gentry and clergy of the neighbourhood. A deep gloom seemed to have fallen over the place. Shutters were closed at all houses, and that tolling of the bell could hardly fail to remind the parishioners of him who had so frequent service at the burial of others, and who was about himself to be laid low. McCaughan was a polished oak, with brass furniture, and covered with a pall. In front of it walked the farmers, tradesmen, and the clergy and surpliced choir. Among the clergy were . . . . . The Psalms and responses were sung by the choir, the lessons by the reverent G. Hodges, and the remaining part of the service by reverent J W D Brown. On leaving the church the hen was sung, " Jesus lives, no longer now can thy terrors, death, appal us" and just before the benediction was pronounced, the home was sung " O God our help in ages past". The scene was striking, beneath the shadow of the fine old church, which had for many centuries been the place where worshippers had met for prayer and praise, and where he had so often ministered. Here were grouped that children from the school. The clergy and the children saying the first verse, and then acquire and congregation joined in, sometimes with voices trembling with emotion, the him, which is so full of confidence, and is yet so often sung with hearts for sorrow. A large number of wreaths made of choice flowers were placed on the Coffin. Ref: Ipswich Journal 19 July 1881. The reporter appears to have had little knowledge of Torlesse and his history in the parish? 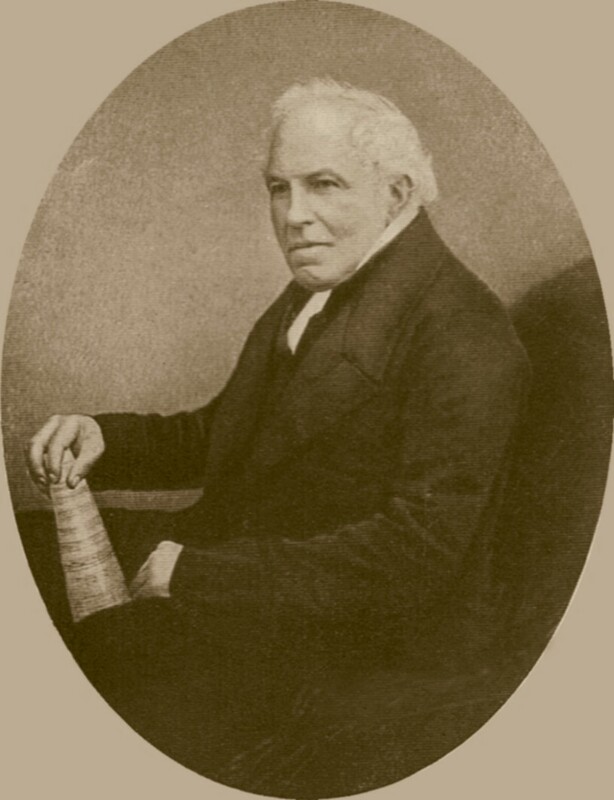 The Late Sir Joshua Rowley. "STOKE-BY-NAYLAND, a parish, with a village, in Sudbury district, Suffolk; 11/2 mile NE of Nayland, and 6 E by N of Bures r. station. It has a post-office under Colchester. Acres, 5,277. Real property, L.9,299. Pop. in 1851, 1,406; in 1861, 1,275. Houses, 302. The decrease of pop. was caused partly by the closing of silk-mills. The property is divided among a few. Tendring Hall is the seat of Sir R.Rowley, Bart. ; and Giffords Hall, of P. Mannock, Esq. A monastery was founded here by the Saxon Earl Algar. The living is a vicarage the diocese of Ely. Value, L.355. * Patron, Sir R.Rowley, Bart. The church is later English, with a lofty tower; and was restored in 1865. The p. curacy of Leavenheath is a separate benefice. There are a Roman Catholic chapel, a national school, alms houses, and other charities L.25. Lord mayor Capel, ancestor of the Earl of Essex, was a native. " By the Anne Longton, the Committee for building the Church at Stoke have received a handsome bell, with all the fittings complete, manufactured by Messrs. John Warner and Sons, of Jewin Crescent, London. The bell is the gift of Sir Charles Ricketts Rowley, Bart., of Tendring Hall, Stoke-by-Nayland, Suffolk, and the inscription on the bell was written for the founders by the venerable Vicar of Stoke, the Rev. C. M. Torlesse. 1. Sir John Franklin: letter to Charles Torlesse, 18 May 1845, HMS Erebus Greenhithe. I thank you for your kind thought in sending me the MS note of Mr Collinson which is not without its value. Sir John Franklin: explorer 1786-1847 - this letter was written on the eve of Franklin's departure* to find a North West Passage to the East, through the Arctic. This may well be one of his last personal letters, before he perished on the mission.